Two landmarks: my first full-length published essay on the sociology of philosophy ("Women in philosophy", with Carolyn Dicey Jennings), and the first foreign-language translations of my science fiction ("The Dauphin's Metaphysics" into Chinese and Hungarian). Recently, I've been thinking about the value of doing philosophy. Obviously, I love reading, writing, and discussing philosophy, on a wide range of topics -- hence all the publications, the blog, the travel, and so forth. Only love could sustain that. But do I love it only in the way that I might love a videogame -- as a challenging, pleasurable activity, but not something worthwhile? No, I do hope that in doing philosophy I am doing something worthwhile. But what makes philosophy worthwhile? 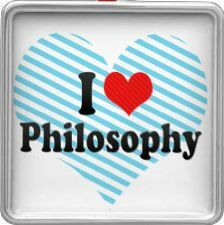 One common view is that studying philosophy makes you wiser or more ethical. Maybe this is true, in some instances. But my own work provides reasons for doubt: With Joshua Rust, I've found that ethicists and non-ethicist philosophers behave pretty much the same as professors who study other topics. With Fiery Cushman, I've found evidence that philosophers are just as subject to irrational order effects and framing effects in thinking about moral scenarios, even scenarios on which they claim expertise. With Jon Ellis, I've argued that there's good reason to think that philosophical and moral thought may be especially fertile for nonconscious rationalization, including among professors of philosophy. Here's what I would emphasize instead: Philosophy is an intrinsically worthwhile activity with no need of further excuse. It is simply one of the most glorious, awesome facts about our planet that there are bags of mostly-water that can step back from ordinary activity and reflect in a serious way about the big picture, about what they are, and why, and about what really has value, and about the nature of the cosmos, and about the very activity of philosophical reflection itself. Moreover, it is one of the most glorious, awesome facts about our society that there is a thriving academic discipline that encourages people to do exactly that. This justification of philosophy does not depend on any downstream effects: Maybe once you stop thinking about philosophy, you act just the same as you would have otherwise acted. Maybe you gain no real wisdom of any sort. Maybe you learn nothing useful at all. Even so, for those moments that you are thinking hard about big philosophical issues, you are participating in something that makes life on Earth amazing. You are a piece of that. So yes, I want to be a piece of that too. Welcome to 2017. Come love philosophy with me. “Phenomenal consciousness, defined and defended as innocently as I can manage”, Journal of Consciousness Studies 141, 127-137. “The behavior of ethicists” (with Joshua Rust), in J. Sytsma and W. Buckwalter, eds., A Companion to Experimental Philosophy (Wiley-Blackwell). “Women in philosophy: Quantitative analyses of specialization, prevalence, visibility, and generational change” (with Carolyn Dicey Jennings), Public Affairs Quarterly. “Rationalization in moral and philosophical thought” (with Jonathan Ellis), in J.-F. Bonnefon and B. Tremoliere, eds., Moral Inferences (Psychology Press). “Death, self, and oneness in the incomprehensible Zhuangzi”, in P.J. Ivanhoe, O. Flanagan, R. Harrison, H. Sarkissian, and E. Schwitzgebel, eds., Oneness in philosophy, religion, and psychology (Columbia University Press). “Like the Oscars, #PhilosophySoWhite” (with Myisha Cherry), The Los Angeles Times (Mar 6). “Real jobs in philosophy, Part 3”, The Philosophers’ Cocoon (Mar 23). “How to tell if you’re a jerk”, Nautilus (Sep 16). “Is the United States phenomenally conscious? Reply to Kammerer”, Philosophia 44, 877-883. Foreword to Russell T. Hurlburt and Marco Caracciolo, A passion for specificity (Ohio State University Press). Philosophical speculative fiction: Recommendations from 48 philosophers (updated), with a brief introduction on the philosophical value of science fiction. “Philosophers recommend science fiction”, in Susan Schneider, ed., Science Fiction & Philosophy, 2nd ed. [an abbreviated version of the list above]. “The pragmatic metaphysics of belief”. “Fish dance”, Clarkesworld, issue 118. "The Dauphin's metaphysics" (orig. published in Unlikely Story, 2015). - translated into Hungarian for Galaktika, issue 316. - translated into Chinese for Science Fiction World, issue 367. "Possible cognitive and cultural effects of video lifelogging" (Apr 21; translated into Chinese for Newsletter of the Southwest Jiaotong University Science Fiction Association, Jul 25). "Orange on the Seder plate" (Apr 27). "Possible architectures of group minds: perception" (May 4). "My daughter's rented eyes" (Oct 11). "Storytelling in philosophy class" (Oct 21). "The mind-body problem revisited" Noozhawk (Aug 4). "Why you should expect the truth to be crazy" Rationally Speaking (Aug 21). "APA member interview: Eric Schwitzgebel" Blog of the APA (Dec 23). I passed my Philo of Quantum Physics in Dec - so it was a good year for me too! I look forward to your musings in 2017. Thanks for the reflection, and the references to your work. I hope that philosophy is regaining some of the respect it lost, particularly in the last century! From its Greek origins, "philosophy" means “love of wisdom”. To love is to be drawn by affection and joy --- but what is "wisdom"? A common definition is "the quality of being wise.” No help there. But if we accept that wisdom is knowing what choices can lead to a better life, then the goal of philosophy is consistent with what all humans are trying to achieve – to live a better life. I don't think the evidence that philosophers are just as guilty of biases and motivated reasoning as the next person should dissuade us from the attempt to unravel and disentangle those biases. If we ask the right questions, at least we will be able to keep moving in the right direction. As a graduate student in philosophy with an uncertain future I obsess over the question why philosophy is worthwhile. I obsess also because I have close friends and family members who are scientists, and with a sliver of shame I admit I have science envy. The worth of science is easily explainable, I think--it's personally and instrumentally rewarding. For reasons in this post I'm skeptical that philosophy is instrumentally rewarding, and while I do think it is personally rewarding--I'm not more 'ethical' or 'wiser' than the average person, but I do think I'm more self-reflective, whatever that means, and I think I live a better life because of it--it's not so personally rewarding to justify making academic philosophy a career. I'm also quite skeptical that your answer, that while thinking deeply and rigorously one is participating in something that makes life on Earth amazing, explains the justification of philosophy. There are a lot of things that make life on Earth amazing--quiet and scenic train rides, for instance. I think the answer to the question of justification must explain why there should be academics focused on philosophical research in the first place, and why philosophy departments at research universities should exist. Because those who participate in it are participating in something amazing isn't a very good answer. Philosophy shouldn't be justified by what it does to those extremely privileged few who are in a position to make a career of it. I think there's a very easy answer here that I personally haven't found any philosopher defend. And it's the same answer for why any academic subject exists: it makes an important contribution to theoretical inquiry, and important contributions to theoretical inquiry are intrinsically good. A society like ours should fund science because it's an intrinsic good for a society to understand the physical world. Similarly we should fund pure mathematics because mathematical understanding is an intrinsic good. Likewise, a society like ours should fund philosophy (though not to the same extent as science) because it's also an intrinsic good to understand philosophical problems. Regardless of its downstream results, philosophy importantly and distinctly contributes to the understanding of our world. Just as there's good science journalism which educates the public on our current understanding of the physical world, I think it's important that there should also be good philosophy journalism which doesn't merely focus on ethical issues or 'applied philosophy'. We've gained enough ground in understanding issues in, for instance, the theory of knowledge, and the main shape of that understanding I think should, and (I hope) would, interest the general public. I do philosophy because I think I'm doing something important. That it's also amazing is icing on the cake. Josh: Thanks for that thoughtful and detailed comment! I agree that it's an intrinsic good to understand philosophical problems. I'm inclined to disambiguate here between two ways of understanding "understanding philosophical problems". One way of understanding that phrase is something like "settling with substantial confidence upon the correct answers to those problems". A weaker way of understanding that phrase is something like "appreciating the problems *as* problems, and starting to understand the different kinds of answers that have been offered". If all you mean by "understanding philosophical problems" is the second of these, then I think the view you are expressing is similar to the one I intended to express. I think that this is intrinsically worthwhile. (Apologies if "amazing" was distracting. I intended it as a way of highlighting the value of the activity.) If you mean the stronger claim, however, then you put the value of philosophy at risk in a certain way that I don't think is necessary. If the value of philosophy depends upon settling with substantial confidence upon correct answers, well, there might be some arenas of philosophical thinking where the likelihood of doing that is reasonably small; and there might be large numbers of people who reasonably think that their personal likelihood of figuring out the right answers is small. And then it's tricky (maybe not impossible) to justify the value of philosophy on those questions or for those people. A justification of philosophy's value that does not turn on its success is, in my view, a more secure justification that is friendlier to those of us of somewhat skeptical bent. I also want to push back somewhat against your reading of my post as being about justifying philosophy on the grounds of what it does for "the extremely privileged few". I'm not sure why you heard that in my post. My intention was to celebrate the intrinsic value of contemplating philosophical questions, regardless of who is doing so. In fact, one advantage of locating the value in the contemplation and the struggle itself, without need of progress toward answers, is that many more people can plausibly participate in contemplation than in helping the discipline progress toward answers -- yes? There's no room in philosophy to abandon what seems to have no place in the world, seems to have no relevance to ongoing life? So as to keep the amazing things of earth alive, rather than pretend to be one? A mere hoarding? Presumably philosophy, for staring so long into an unyielding abyss, eventually took itself to be an end, rather than a means. Like the steward of Gondor, too long without a king to accept one. Thanks Eric and Josh for the intrinsically interesting exchange! I recently wrote a post on intrinsic vs. instrumental value in relation to our attitudes towards people, animals and nature that suggests we should always focus on intrinsic value. (see: http://swedenborgcenterconcord.org/intrinsic-value-vs-instrumental-value-what-if/ ) In the case of philosophy as love of wisdom, that love defines the object as an intrinsic good regardless of whatever instrumental value the object may offer to its practitioners. But one might ask, what is the good of that love if it is wasted on a useless pursuit that provides no instrumental value? This suggests, at least to me, that there is a big downside to pessimism about the instrumental value of philosophy! Eric: Thanks for your response! I do have in mind something like the second understanding of 'understanding philosophical problems' you mention. In fact I'm skeptical that there is such a thing as a 'correct', simpliciter, answer to a philosophical problem, or at least that anyone has ever found such an answer. And I don't think this puts the value of philosophy in any jeopardy--no scientific theory has ever been correct either. Just to clarify--what I wanted to object to in your post was the claim (which I don't know if you were committed to) that the justification of philosophy must appeal to the benefit, whether intrinsic or instrumental, that it gives to the agent who's doing the philosophizing. I guess there are two kinds of questions here: 'what is the value of *doing* philosophy?' and 'what is the value of philosophy?' You started the post asking the first question, but I read you by the end wanting to give an answer to the second by way of the first, but I don't think the answer to the second needs to appeal to any answer of the first. And that's what I think people miss when they defend philosophy on the grounds that it helps you think critically, or helps you be a better person, or is 'divine' or an intrinsically good activity, etc. On my view, in addition to it being a worthwhile activity, philosophy itself is important for intellectual inquiry. And this importance is independent of any inquirer. George, I like the idea in that post that things, animals, and people have intrinsic and not just instrumental value via webs of complexity and interrelationship. Love might not even be needed as a necessary condition! (Though it could help via deepening the relationships and feelings.) Yes? Dark? Really? The six o'clock news is pretty dark and I don't see them saying what I wrote. In contrast to the six o'clock news, I'm pretty sunny I think! Hi Eric. I'm a new reader of your blog, having just discovered it via the Sci Phi Journal fiction-writing contest. So, excuse me if this is old ground for you, but do you think that philosophy stopped making progress once the is-ought divide was accepted? How can one get anywhere when there's nothing one ought to do? I think philosophy can make progress, though it's slow, uneven, never complete, and tends to be on the medium-sized stuff or on if-this-then-this stuff. However, I also think that philosophical reflection is intrinsically worthwhile regardless of progress or not. I speak briefly about this in my recent APA interview and in a forthcoming piece for Aeon on Bertrand Russell's "The Value of Philosophy".